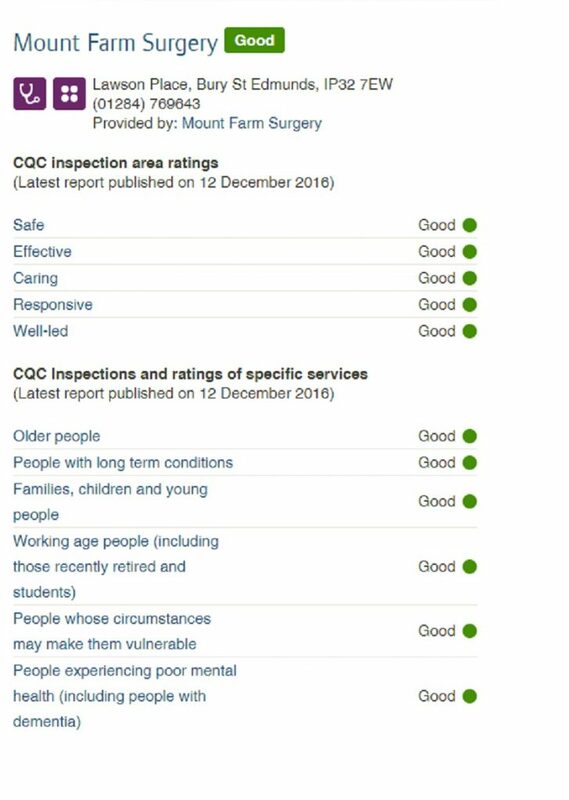 Mount Farm Surgery is a GP Surgery based in the Moreton Hall area of Bury St Edmunds. Our friendly, efficient and hard-working team of GPs, nurses and healthcare professionals take pride in offering the highest standards of patient-centred healthcare. The practice is based within a modern, clean and well-equipped building, underpinned by the latest IT and communication systems such as text alerts and voice messaging technology, all designed to improve the efficiency of our patient care services. A General Practitioner (GP) is usually the first point of contact for general healthcare for NHS patients, calling upon an extensive knowledge of medical conditions to assess, diagnose, treat and manage a health issue. Wherever possible we take the opportunity to prevent illness and not just treat it, promoting the best of health and well-being for all of our patients. Convenient free car parking is available both in Lawson Place, and also in front of the Community Centre. The area directly in front of the main doors is for pick up and drop off only as this area is in constant use by emergency vehicles. If you require urgent medical advice outside of the surgery hours please telephone 111 or call 999 in an emergency. Alternatively, try the new 111 Online service here which is available 24 hours a day, 7 days a week.